Have we got it all covered? Here is a section on our most frequently asked questions, just in case there is particular aspect of our staging you wish to be confirmed before taking that step further. Delivery costs for online orders are calculated at the checkout by item weight and size, with the minimum charge being £10 which covers either a single or multiple items up to 20kg. All items sent via courier post, insured parcel service or via pallet service depending on size and weight. Our secure shopping cart accepts Visa, Visa Debit, Mastercard, Maestro, and Paypal payments. For trade customers, or if you wish to apply for finance on a purchase, please call us. Standard delivery time for in stock products is 2 working days. Next working day and Saturday delivery can be arranged at extra cost should they be required. Out of stock items will usually be 3-4 working days and will often be sent direct from the manufacturer on our behalf to reduce handling time. Items being manufactured to custom designs such as a bespoke trussing system will often have 5-6 weeks lead time, and this should be accounted for when planning your event. Orders placed on the website and paid for before 2pm that are in stock will normally be dispatched that day on our standard courier service. You will receive email confirmation of your order and your invoice / receipt and any available tracking details for the delivery service. Its also standard practice for Stage Concepts to contact you after receipt of any order through the website. 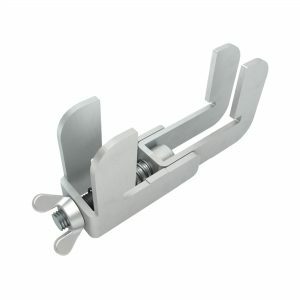 This is to confirm that you have purchased the correct and most suitable product for your needs. Contact will either be via email or phone depending on the product type and value of the order. Do Stage Concepts hire or rent staging? No – Stage Concepts specialises in staging sales and distribution only as this allows us to offer the best service and prices to our customers, leaving rental to other established companies. Can I buy staging and trussing direct from Stage Concepts? Yes – All of our staging products can be bought directly from us. We do not sell the individual components, and instead are able to build a complete package including everything that you require for your event. If you are an events or hire company, we also act as suppliers of stock for your business. 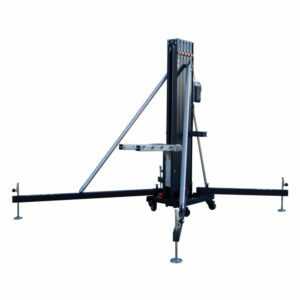 Are we competitive with prices on our stage and trussing systems? All of our professional staging are high quality, handmade and designed to last. Unlike cheaper brands out there on the market; we prioritize quality as an important factor when it comes to all staging equipment. Having an unstable set up not only risks an unwanted interruption of your event, but also risks safety. Stage Concepts offers affordable, quality staging and trussing without the extortionate price tag. Can we deliver staging direct to your event? Yes we can, call us directly and we can organise either dry hire or with crew, We have Rental partners based in London. Is our staging suitable for outdoor events? Yes – Our versatile staging equipment can be modified to suit both indoor and outdoor events. We have lots of solutions to suit outdoor applications such as marquee events, festivals and gigs: including staging roofs, PA wings, anti-slip stage platforms and legs to stabilise the decks on different terrains. Are our stages adaptable with other brands? If you have an existing stage deck or wish to connect our staging with other brands, our products are compatible with top brands such as Prolyte and Topdeck. We can specially manufacture clamps so our platforms can fit together with other brands, allowing you to connect together the perfect stage. Can I choose the finish? We have a choice of two standard finishes for the SCA11 staging. You can choose from anti-slip ‘Hexa’ which is textured, providing versatility for a number of different events. Alternatively, the raw wood ‘natural’ finish surface is perfect for applying varnish or paint, or for the gluing of carpet. 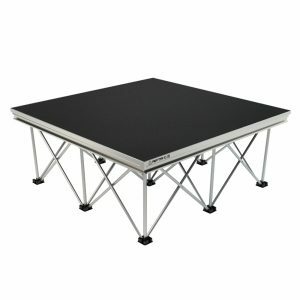 On the Ultra Light stage just the Hexa anti-slip is available. For trussing, all standard truss comes in its natural durable state which is ‘vibro-finished’ giving a matte look. Alternatively you can choose to have your truss powder coated in a wide selection of colours and textures should you wish. Please call us to discuss finishing options prior to ordering. 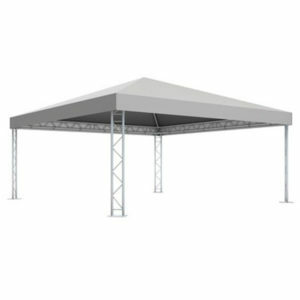 All of our popular, standard stages are available and ready to be dispatched and hired. 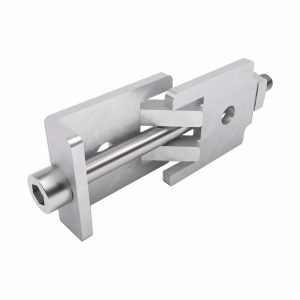 If you are requiring anything custom made; for example specialist stage sizes, veneer material; different legs or sizes of trussing; this has an expected lead time of 2 – 6 weeks. All of our staging is handmade and undergoes a careful manufacturing process, so anything being custom made needs a good amount of time to be processed. Our Rental partner in London has large stocks of stage deck ready to go, we can customize colour height and backdrops to suite your event. Can you produce drawings so we can visualise the proposals? Are our stage decks light? All of our stage decks are lightweight aluminium and plywood layering, and our standard 2.0m x 1.0m and weigh approximately are light enough to be portable. Carrying these decks is a two man job, but there are transport trolleys available for carrying staging over long distances which we can supply. Are the stages easy to store away? 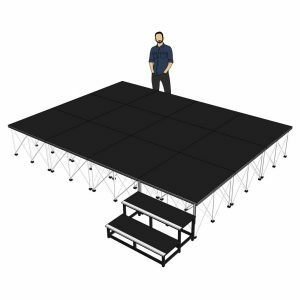 Yes – Our stages are very compact and can be stored away easily. 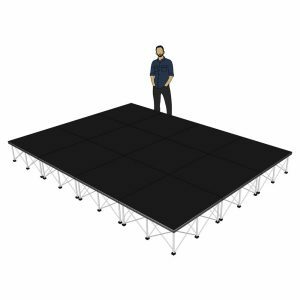 The legs of the stage platforms can be detached from the flat panel, and these panels can be stacked up either onto racks or transport trolleys. 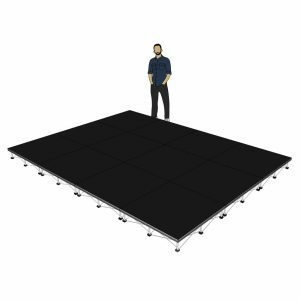 Our stage deck panels come in four standard sizes: 2.0m x 1.0m, 2.0m x 0.5m, 1.0m x 1.0m and 1.0m x 0.5m, but can also be custom assembled to create the right size to stage your event. Do you provide storage/ transport trolleys? 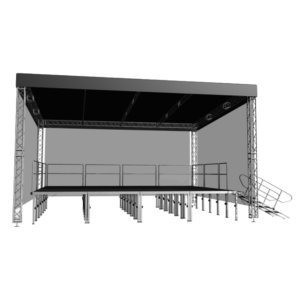 We provide storage for stage platforms and handrailing using transport trolleys. The platforms can be easily stacked up onto the trolley and provide secure transit.